New York - Following its successful 10th Anniversary edition in July, Texworld USA will once again open its doors to exhibitors and visitors on January 23, 2017. The Winter 2017 edition of the East Coast's largest apparel fabric sourcing show will feature several new features on the show floor, the largest and most diverse exhibitor group in January show history, four international pavilions and a dedicated focus on functional fabrics and apparel. Texworld USA's Winter 2017 edition will be the largest January edition in the show's history and will feature over 220 international exhibitors representing 11 countries, including: USA, Hong Kong, Pakistan, Turkey, Japan, Canada, Colombia, India and more. Once again, China will be well represented on the show floor, with a comprehensive showing of established mills from different regions, all specializing in affordable and in-demand textiles, trims and accessories. "We've listened to our attendees' needs and have worked hard to gather the most diverse group of international exhibitors possible right here in New York City", said Dennis Smith, President, Messe Frankfurt North America. "In addition to our established group of premier Asian mills, our buyers will be able to discover new product from emerging sourcing destinations." Attendees will have the opportunity to source fabrics, trims and accessories for every type of product line – women, men, juniors and children's wear -- across a total of 16 product groups, including the recently introduced "faux fur" category and an expanded denim category. Turkey and Taiwan will both return to the Texworld USA show floor with pavilions showcasing exhibitors who specialize in high-end cotton, knits, functional fabrics and lace. The returning Korea pavilion presented by KOFOTI will make its January edition debut, with a focus on exhibitors known for their expertise in high-quality knits. The Lenzing Innovation pavilion will return with 17 exhibitors focused on incorporating sustainable fibres into a wide range of product categories. In addition to exciting new exhibitors and international pavilions, the Winter 2017 edition of Texworld USA will spotlight a theme of the season, functional fabrics and apparel, in a new dedicated area of the show floor. The SPOTLIGHT display area will highlight some of the best functional fabrics from Texworld USA exhibitors, as well as active wear and performance apparel from Apparel Sourcing USA exhibitors. 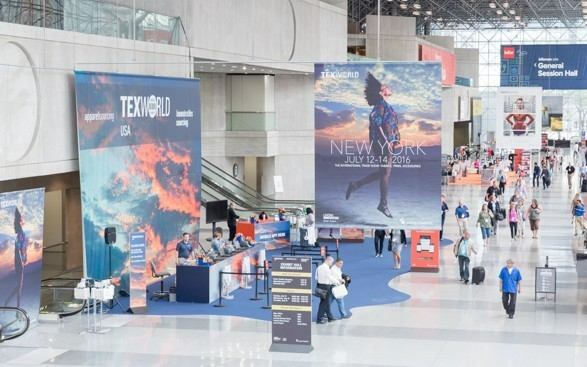 In addition, the well-known Texworld USA Trend Forum will be revamped to place a heavier emphasis on showcasing the best of what can be found on the show floor across all 16 categories of product available. "With our winter editions of Texworld USA being smaller and more intimate, we realized that it was a great opportunity to create a discussion among attendees and exhibitors around a particular industry trend or topic," said Jennifer Bacon, Show Director. "We're excited to debut the new SPOTLIGHT display area and really shed some light on the fantastic functional fabrics and apparel that our exhibitors are bringing to the table."